The Native Strangers want to melt your faces off, according to their Facebook page. The four-member rock band hail from Chicago and are ready to explode and become rock ‘n’ roll superstars. Currently, the college seniors are working on an album, which will be released this winter. Guitarist Nick Chill and bassist Joe Danger share the spotlight on vocals, while Thunder Johnson shines as the lead guitarist, and Brett Sasquatch remains as the beating heart of the band with the drums. The Spread talked got a chance to chill with Nick and talk about their upcoming Canopy Club show on Nov. 23, managing the band’s long distance relationship and the challenges of being an up-and-coming band. The Spread: So how did you come up with the name The Native Strangers? Does it hold any special meaning? Nick: The name kind of came from us putting a bunch of words on a whiteboard. I went out for a cigarette, and when I came back the other three had “the native strangers” on the board. So we just went with it. It’s kind of an oxymoron. We’re from the suburbs of Chicago, so we’re kind of native to this awesome scene, yet at the same time we’re strangers because we’re new and pretty much unheard of. It can be interpreted however you want though. The name and the music can mean something different to everyone. TS: How have your influences, such as blink-182 and The Black Keys shaped you guys as a band? Nick: I’ve been listening to blink-182 since I was a kid, so that was a major influence as to why I wanted to start a band in the first place. We just play what we like to hear. We all share a lot of the same influences, but we also listen to music that is different from one another. The drummer and guitarist were brought up on classic rock, so we have a lot of guitar solos that are reminiscent of Aerosmith and (other) classic rock band. Our general sound is more like blink-182 and The Foo Fighters. Those were the two bands that made us want to start this in the first place. TS: What was the inspiration behind the song “Over Me”? Nick: “Over me” is the first song I wrote for the band and the first one we ever recorded. The inspiration came from failed relationships in the past. It’s all about questioning what went wrong and remembering the good — and mostly bad things that happened during those times. TS: I read that you guys have been friends for a very long time. How did you all meet? Nick: Well, I knew the bassist since before school; we played t-ball together. I met the guitarist and drummer in the first grade. We started playing music around the seventh or eighth grade. We had our first ‘gig’ at our eighth grade luncheon before we graduated from grade school. We played Foo Fighter’s “Learn to Fly” for all the parents and the people that wanted to see us. TS: I read that you guys all go to different schools. How do you cope with the distance? Nick: We just make the most of it over the summer. (Last year), we went pretty much the whole school year without doing anything music wise. Last summer, we kind of took it seriously because we realized that we were getting older and getting better as musicians. We were like: “why not write some new songs and play some shows, get people interested.” It’s definitely hard though, but we’re making do. Usually after a long period of not playing together, when we do come together for the first time, we sound really good because we’re all fresh. It’s a good thing to have these breaks. It allows us to really realize what we love and why we love doing it. We make the most of the time we do get together and just have fun. TS: Since you guys are so far apart, has it been tough trying to make an album? Nick: We pretty much wrote an album last summer. We have 12 songs completely done; it’s just a matter of finding time to find a recording studio and get the money together to pay (for the studio time). That’s something that we’re going to focus on when we’re all back together, but in the meantime, we’re all researching on our own what we can do to find ways to contribute to further our band’s status. TS: How are you getting your name out there? Nick: Well, it’s just our friends that are our fans now, but that’s not necessarily a bad thing. I’m hoping with these shows in Champaign we can make a name because the music scene here is really a big deal. I feel like if we make a name for ourselves here in Champaign, we will have a much easier time getting people interested in Chicago. That’s our ultimate goal. 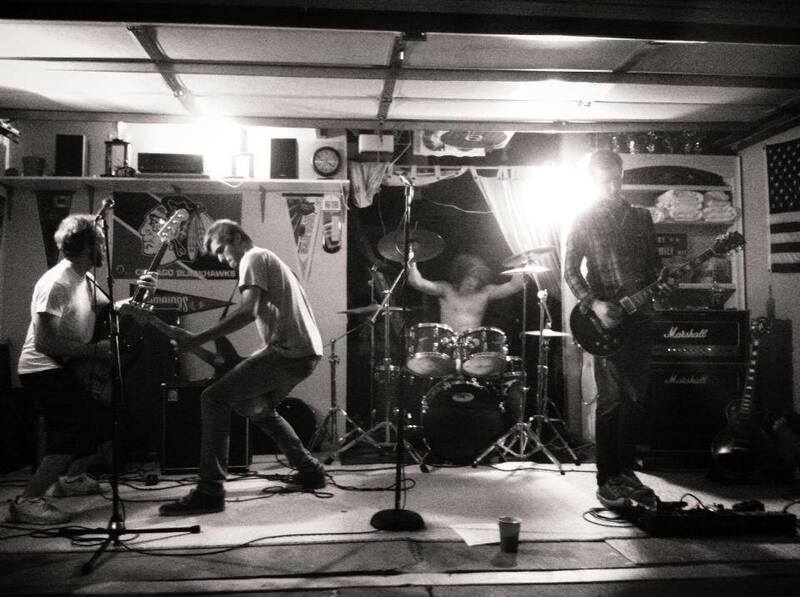 Catch the band again in the Champaign-Urbana area at Error Record on Dec. 6.